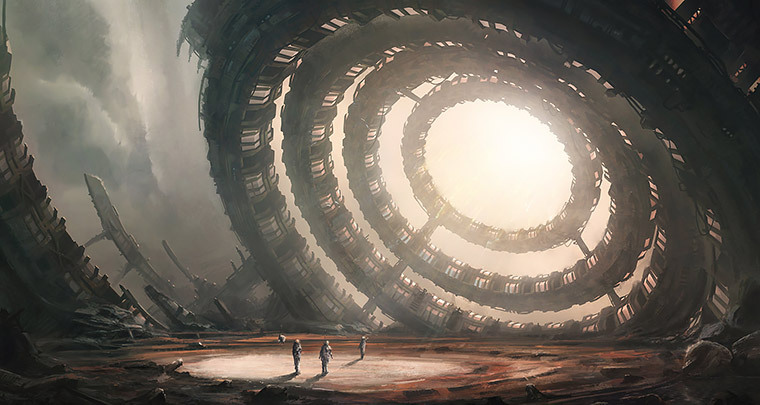 Leon Tukker is a freelance concept artist living in Utrecht, Netherlands. He is currently working for Prague based Wube Software on a real-time strategy and survival game called Factorio, as well as a visual storytelling game for his graduation project. Now twenty-two years old, Leon has been creating 3D graphics and digital paintings since he was nineteen. His early studies focused on TV commercials and graphic design, which he didn’t like at all. 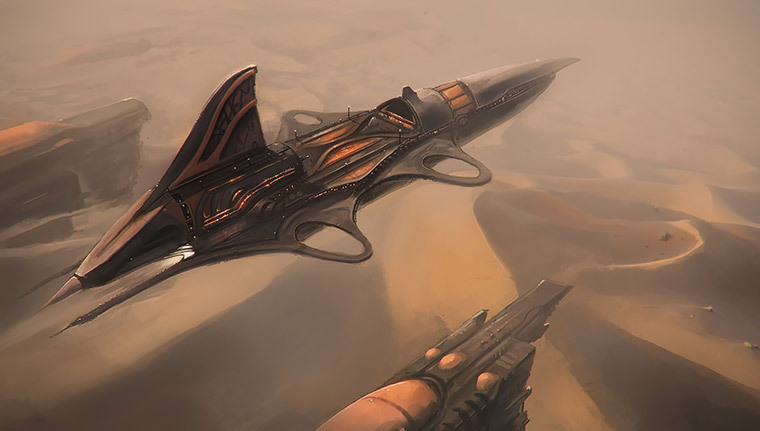 Instead, he found himself drawn to concept art—painting and modeling all kinds of spaceships and buildings—and decided to follow that path in art school. 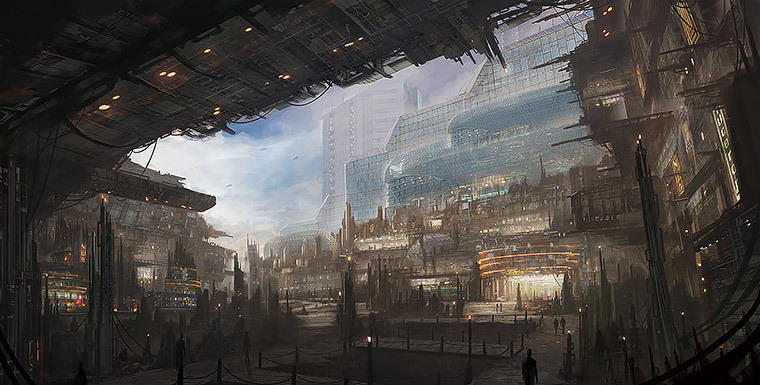 After a few courses in Environmental Design, Leon decided to dedicate his time to painting cities, vehicles, and environments and continues to do so to this day. He is currently in his fourth and final year of art school. 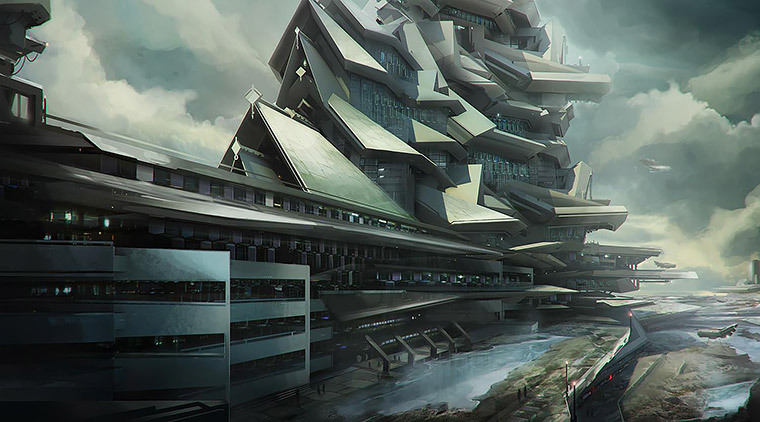 I am inspired by architecture, movies, and everything that looks alien here on earth. Take the coral reefs, for example. I’m also fond of big structures and cities. Star Wars, John Carter, Guardians of the Galaxy, and books such as Dune and The Hitchhikers Guide to the Galaxy are very inspiring. There are also a few games that I often look at for inspiration. Like Dontnod’s Remember Me and ThatGameCompany's Journey. I’m very passionate about sports—track and field athletics, particularly the high jump event. High jumping gives this feeling of flying for a very short time, and the competitions are a great thrill! It’s what I used to do before starting my painting career. Hmm… I’m not sure. With all the trouble currently happening in the world, I’m kind of afraid for the near future, and I think the rest of the future depends on those events. I see Internet and social media taking over, and overpopulation will probably be an issue! But I try not to think about that too often. It would probably be commercial space travel and personal flying devices, like jetpacks or hover boards! That would be amazing! But I’m sure someone is already working on those things. I have to go with the middle option [B]. The universe is so infinitely big that there must be a planet somewhere with the exact climate and temperature for intelligent lifeforms to live on. 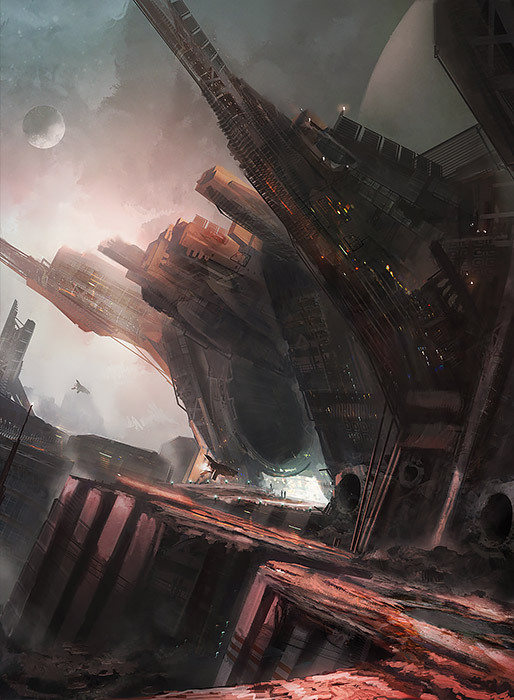 Concept art for KeokeN Interactive's game "Deliver Us The Moon"